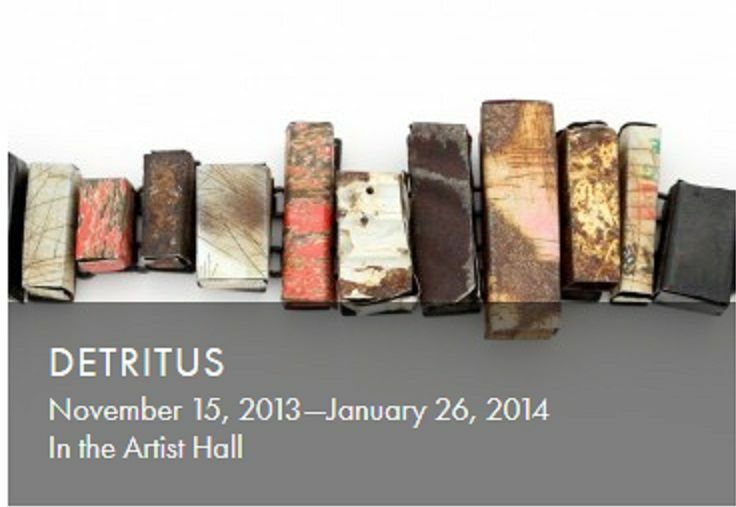 Houston Center for Contemporary Craft (HCCC) is pleased to present Detritus, on view November 15, 2013 – January 26, 2014, in the Artist Hall. With material investigation as the foundation of their practices, artists Kat Cole, Laritza Garcia, Tara Locklear and Chesley Williams have constructed objects of adornment that employ found elements, remnants of industrial products, and other alternative non-precious materials that carry meaning and hint at a purpose. 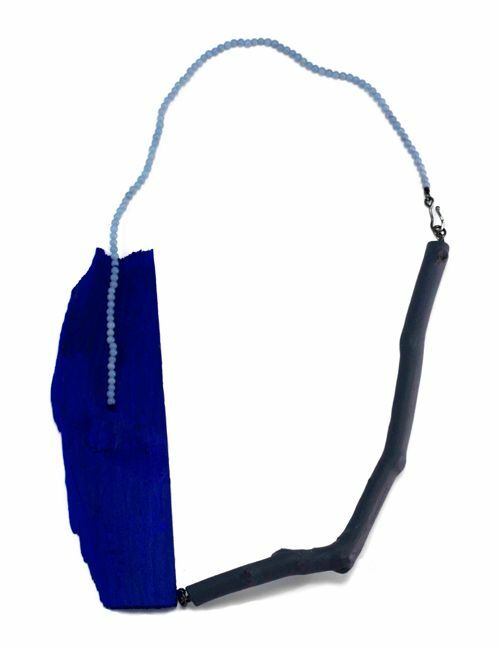 By observing their environments and taking up the practice of collecting, these artists have created inspiring jewelry and headwear that contain a gritty richness reminiscent of urban and industrial landscapes. Incorporating detritus and evidence of human inhabitance, the works possess an artifact-like quality that not only presents a reinterpretation and re-contextualization of ubiquitous materials but also allows the viewer to consider what the source materials reveal about contemporary society. 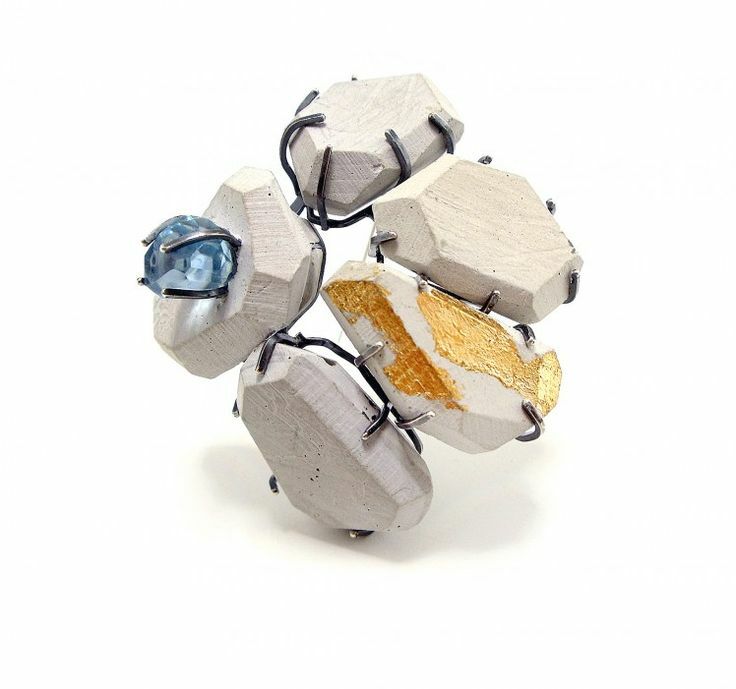 In line with the concept-driven field of contemporary jewelry, in which the use of materials, skills and compositions are applied to explore ideas, Kat Cole’s work and methodology are a means for her to actualize a connection to her surroundings. Cole has lived in eight different states over the past 10 years, adjusting to and appreciating the diverse natural, industrial, and cultural landscapes of each location. 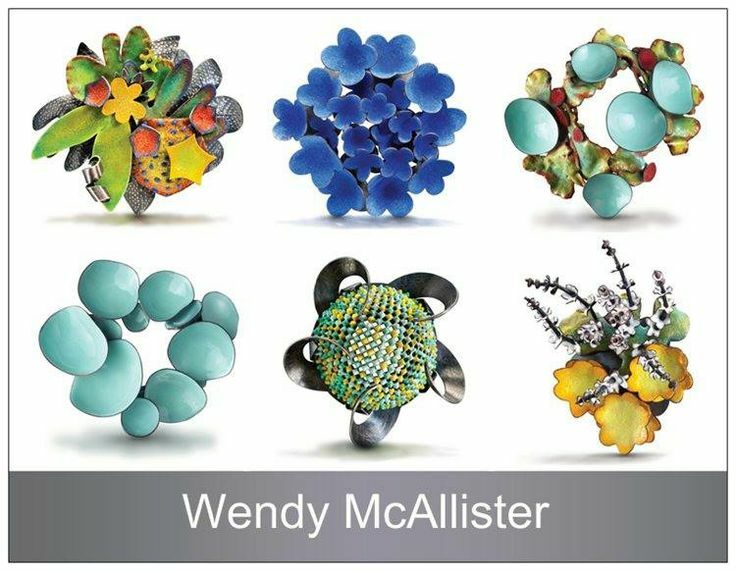 Through the examination of architecture, industrial structures, and their inherent histories, along with scouting for objects to incorporate into her jewelry, she actively seeks out personal and tangible ways to link each art object to its place of origin. 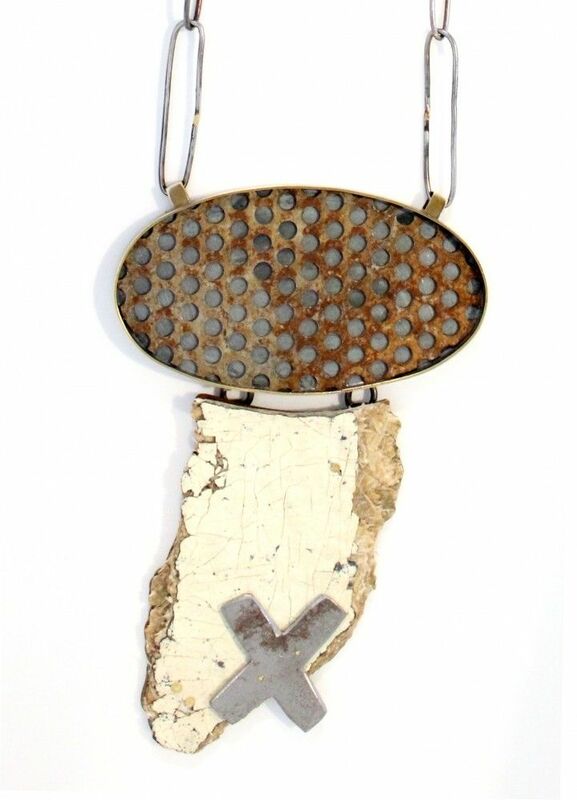 Kat Cole, Assemblage X Necklace, 2013. Found objects, brass, sterling silver, steel. Photo by Kat Cole. 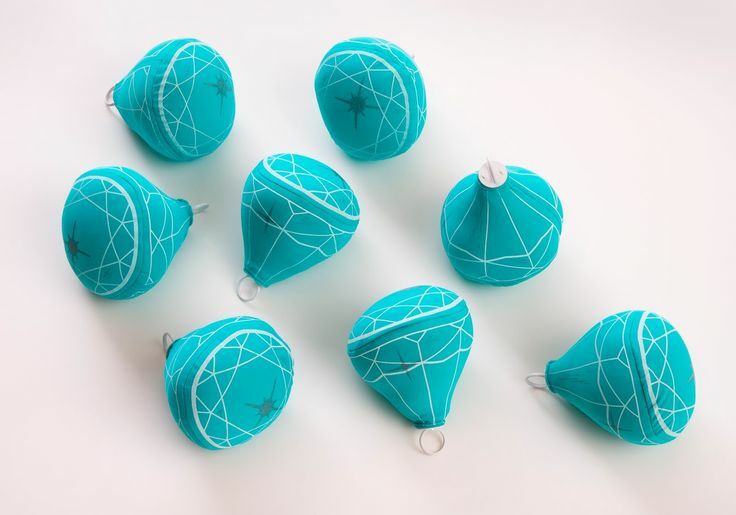 Raised in the South Texas Border region, where the influence of a vibrant Mexican culture is pervasive, jeweler Laritza Garcia’s work is inspired by her attraction to the physical presence of color in the world around her. The brilliant oranges, blues and pinks that cover facades of buildings in this locale are palpable in her expressive color pallet. With a desire to convert two-dimensional graphics into wearable configurations, Garcia begins her process by creating loose gestural illustrations from inks and calligraphy brushes. 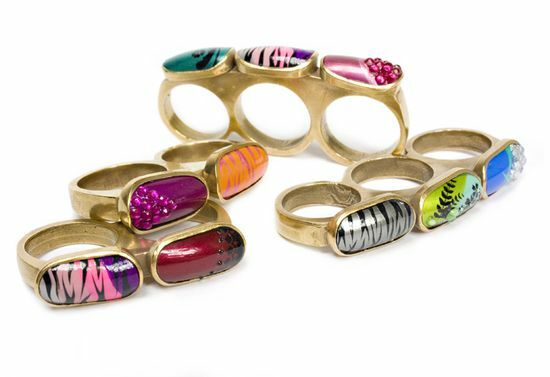 From there, she layers bold colors and graphic lines evocative of street art and graffiti and, with an understanding of the mood-elevating effects of color, she creates jewelry to bring a sense of whimsy to the landscape of the body. 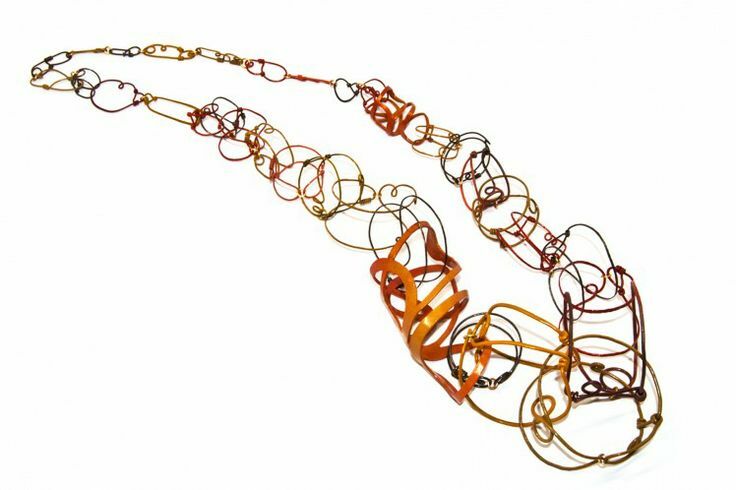 Laritza Garcia, “Roundabout Necklace,” 2013. Steel, copper, brass, powder coat. Photo by Laritza Garcia. 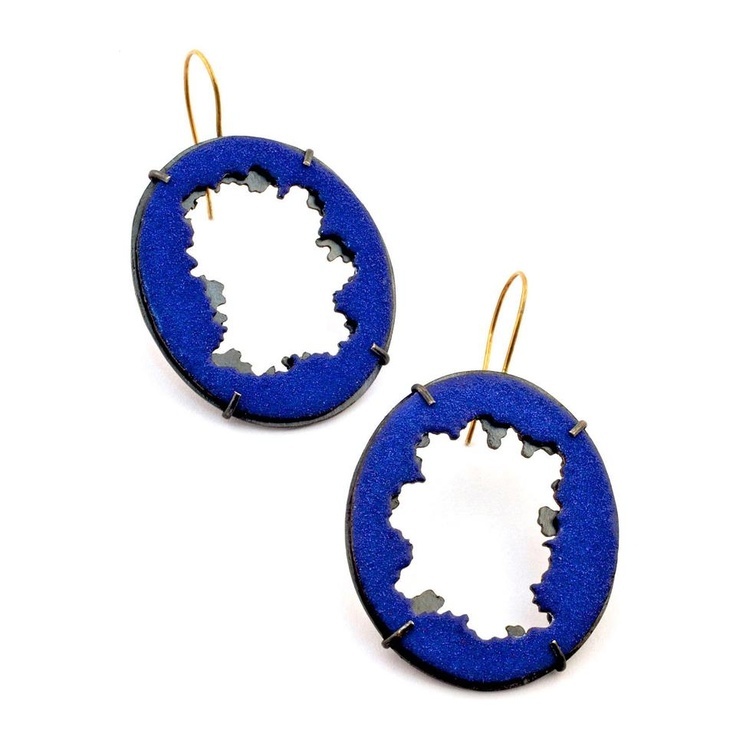 Asking her viewers to reevaluate their conventional notions of preciousness and value, Tara Locklear incorporates everyday materials, such as wood, concrete, and glass, into her jewelry. 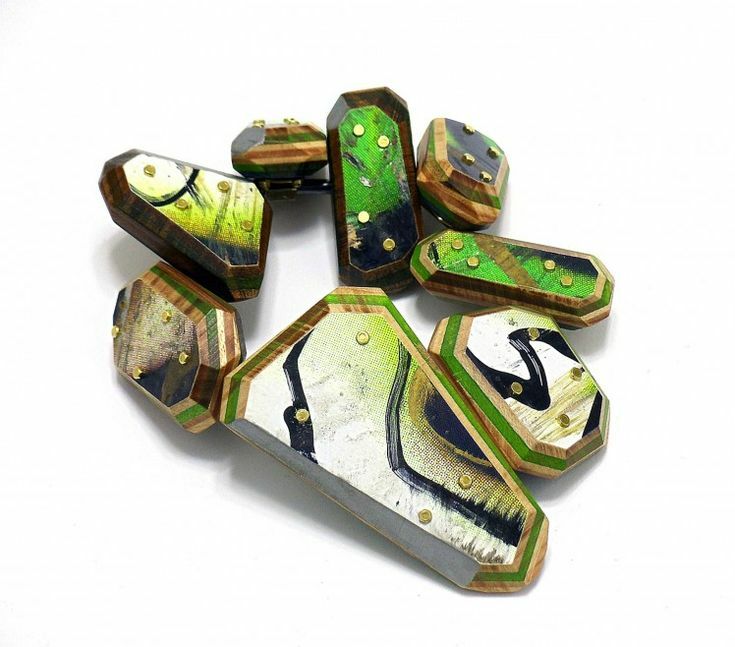 She also repurposes fragments of skateboard decks in some of her pieces. 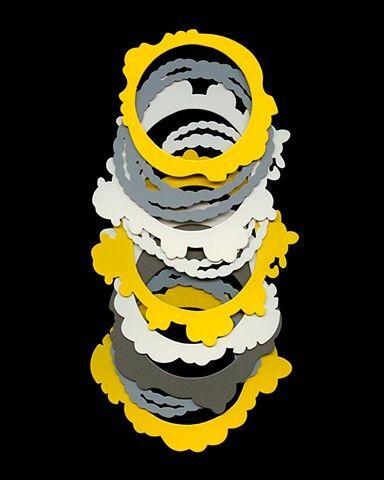 The incorporation of this unique material was inspired by a community of friends with a reverence for the urban sport and a desire to give the decks, laced with sentimental value, new life. The colors and graphics of the boards spark a vision of a skateboarder’s utopia, a concrete jungle filled with vivid and eye-catching graphics. 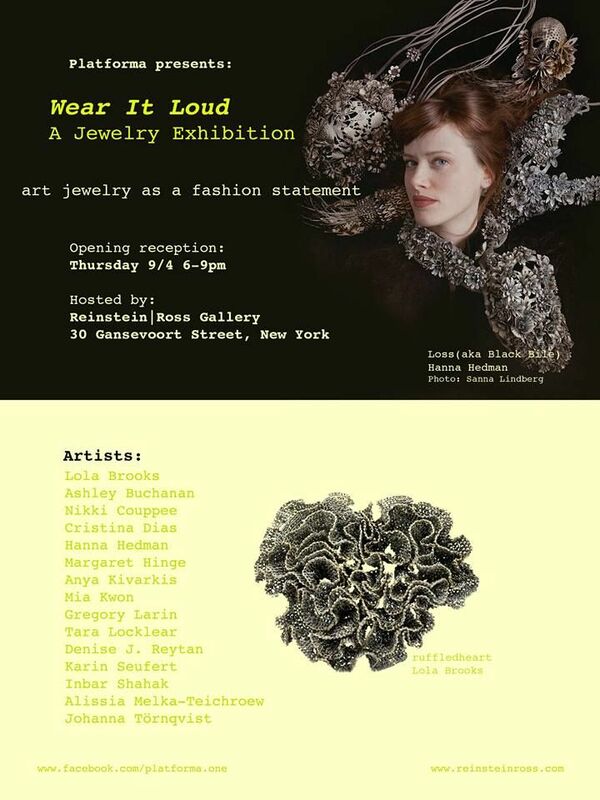 Locklear’s exploration of traditional jewelry forms and her affinity for costume jewelry of the 1940s and ‘50s serve as inspiration for the visual format used to illustrate her concepts. 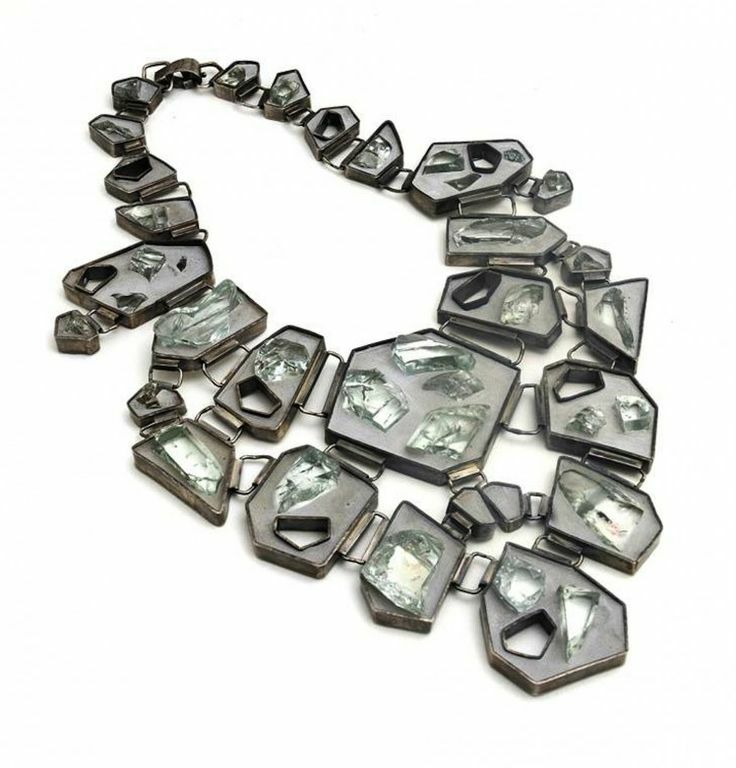 Tara Locklear, “Concrete Costume Cluster Necklace 1,” 2011. Cement, steel, faux gold leaf. Photo by Tara Locklear. 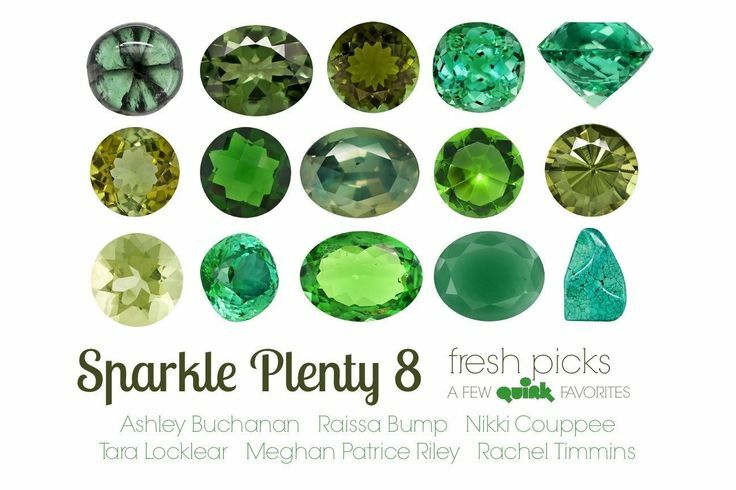 Tara Locklear, “Iconic Interpretation Brooch,” 2012. 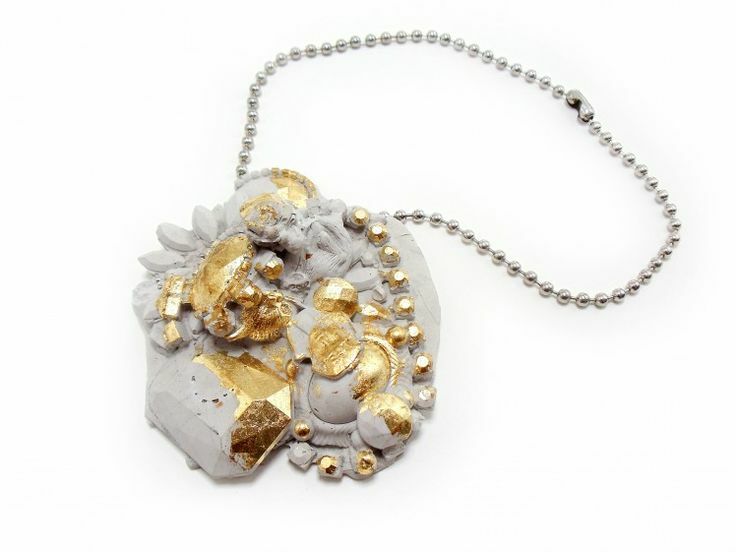 Cement, reclaimed glass, sterling silver, faux gold leaf. Photo by Tara Locklear. 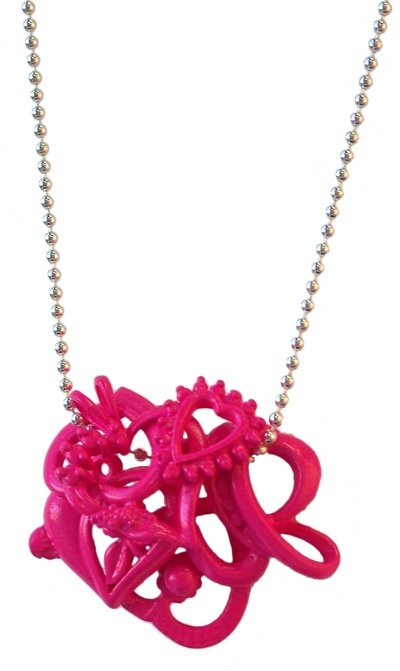 Tara Locklear, “Unbridled Royalty Necklace,” 2011. Cement, reclaimed glass, sterling silver. Photo by Tara Locklear. The accumulation and transformation of mundane objects is a fundamental component of Chesley Williams’ artistic practice of creating innovative headwear. With the D. I. Y. 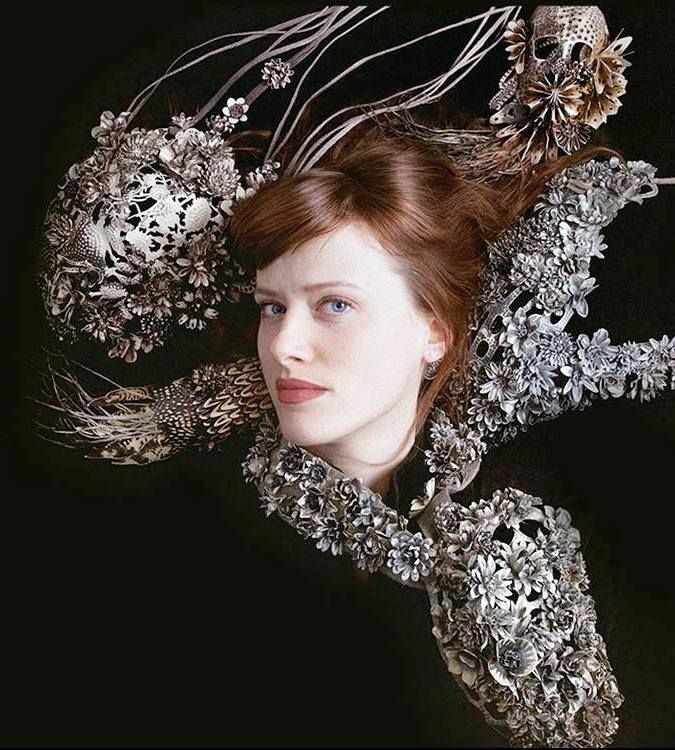 (Do-It-Yourself) social movement and high fashion as inspiration, Williams creates works of art that push the boundaries of traditional design with her use of materials and techniques. Her process begins with the accumulation of materials—from donations, recycling centers and thrift stores—which are then transformed into raw materials through deconstruction. 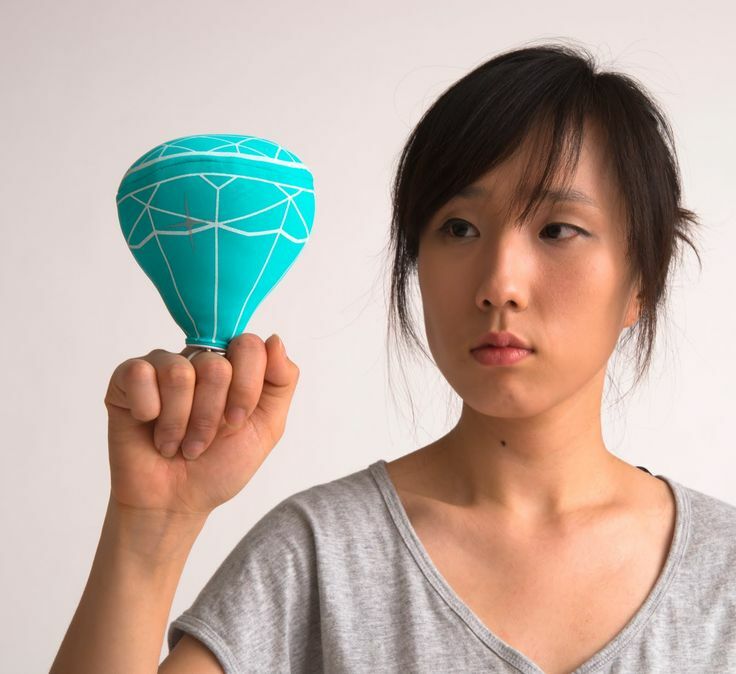 Clustering, grouping and building with these materials, she creates sculptural forms that serve as bold and beautiful reminders of the layers of daily waste generated within urban environments. 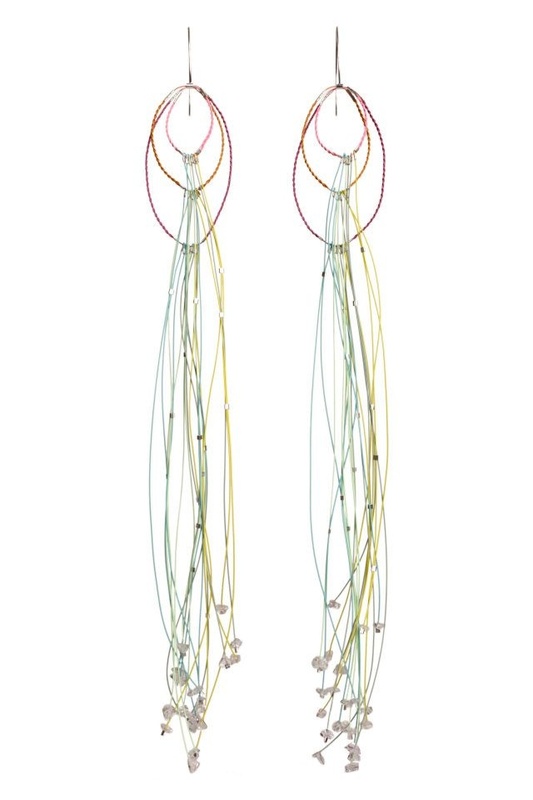 By including fragments of consumer products (for example, headphones, used for structural support) and incorporating traditional textile methods of weaving, stringing, tying, stitching, and wrapping, Williams’ avant-garde head adornments present a highly imaginative approach to recycling Chesley Williams, “Untitled,” 2013. Zippers, electrical tape, foam flex, nickel plated split rings, metal u-locks, and deconstructed headphones. Photo by Meghan Nicole. 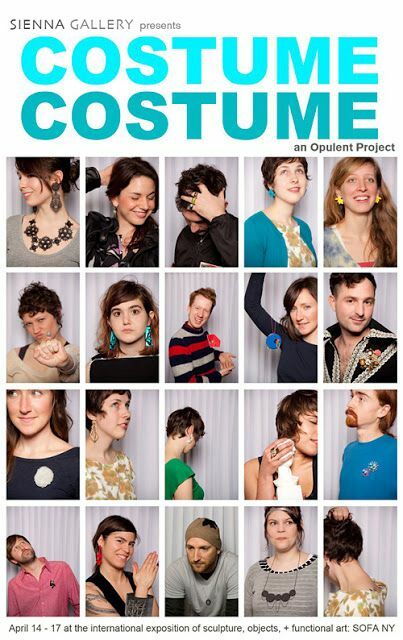 Detritus was curated by Ashley Powell, Curatorial Assistant at Houston Center for Contemporary Craft.